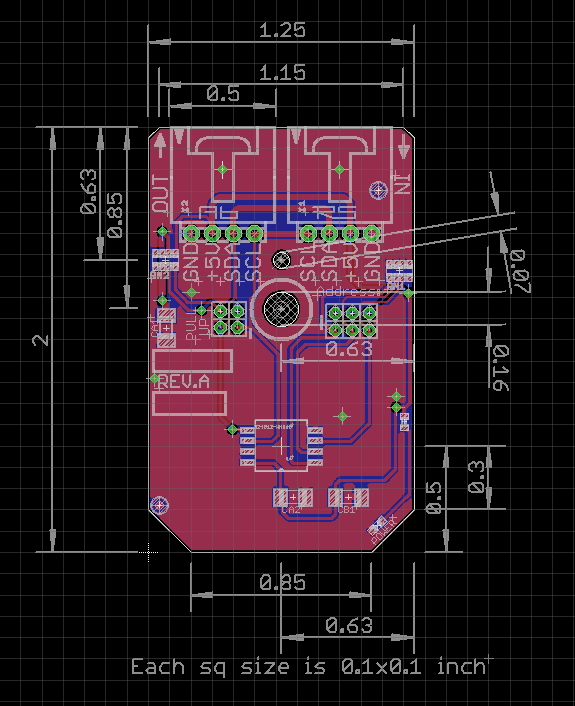 The BME280 is a combined humidity, pressure and temperature sensor that allows for two devices per I2C port. The humidity sensor in the BME280 provides an extremely fast response time and high overall accuracy with ±3%RH. The pressure sensor in this device is an absolute barometric pressure sensor with extremely high accuracy and resolution and low noise output. The temperature sensor has been optimized for the lowest noise and highest resolution and is used for temperature compensation of the pressure sensor and can also be used for estimation of ambient temperature. Measurements with the BME280 can be performed by the user or performed in regular intervals.